Sorry, this hot reward is no longer available. Order a FREE $10 Babies ‘R Us gift card plus an Aveeno shampoo sample by mail for only 500 RecycleBank points. Look under “Earn Points” then “Aveeno” (click on “See All”) after you sign-in to RecycleBank to order. This is a great deal because all of the other $10 gift cards are 2,500 points. Thanks goes to Kate for spotting this deal and helping me find it (you won’t find it under the “Rewards” category right now). I wish I had seen this coupon offer sooner! Oh well, I am sure another great deal is just around the corner! Thanks for taking the time to post these offers. It really helps! Got this! So glad I’ve been saving my points. This is definitely worth it. I am only seeing a tote bag with a copy of baby talk for 500 pints. Maybe they are out? I tried to join at least 15 minutes ago or more & still have not received an email. I then did a forgot password as it suggested to do if no email & still nothing. Any tips? Time to start thinking about Christmas gifts, this will be perfect. Thanks. Got it! 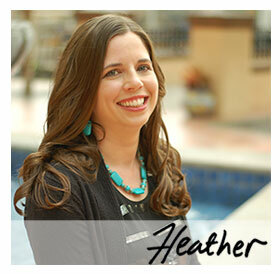 Thank you SO MUCH, Heather!!!!!! thank you!! – Helena, it’s there, just tough to find. On the earn page, the See All is about half way down the page, and once you click on Aveeno, the rewards are listed under the earning opportunity. I was able to get mine. Be sure you go to “EARN POINTS” then look for the green “AVEENO” and you’ll see the Babies ‘R Us giftcard after you click on that and scroll down. Wow – thank you so much! It drained most of my points, but well worth it! Yes, that’s why I posted it! It’s an “80% off” deal since all other $10 gift cards cost 2,500 points.